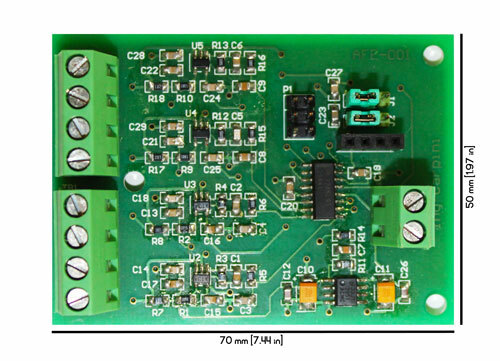 The AFE-001 is an analog front-end (AFE) for piezoelectric sensors. 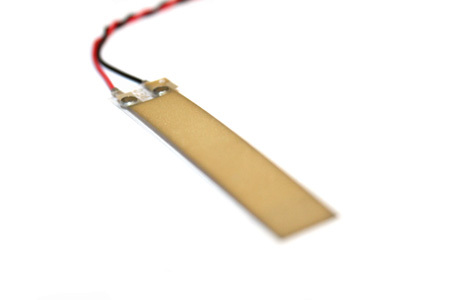 It can be used with piezoelectric cables and piezoelectric film elements like Measurement Specialties manufactured. Originally designed for piezoelectric cables, AFE-001 can be used also with piezoelectric film elements and piezoelectric sheets. AFE-001 filters, amplifies and converts the small voltage signals producted by piezoelectric sensors to digital signals. Thanks to high impedence, AFE-001 has optimum response to low-frequency signals. The board is based on TLV2544 ADC and is compatible either with popular microcontrollers (like Arduino) through SPI or Texas Instruments DSP. AFE-001 is Arduino compatible and is Ready-to-Go: no configuration needed. It’s supplied with a demo software for PC and an Arduino Due sketch. The demo software supplied with AFE-001, allows to view in real-time the acquired signals. Moreover it allows to filter the signals and to save all the samples acquired. Furthermore the demo software performs the Fast Fourier Transform (FFT) of a choice channel in real-time. 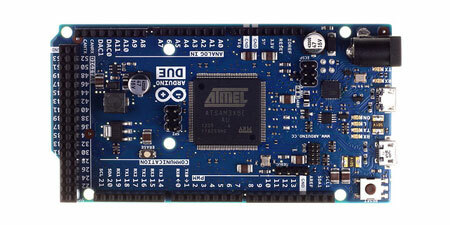 AFE-001 is supplied with Arduino Due sketch. The sketch is Ready-to-Go: no configuration is needed. Just connect AFE-001 to Arduino Due, program Arduino Due with the sketch provided and this is all. 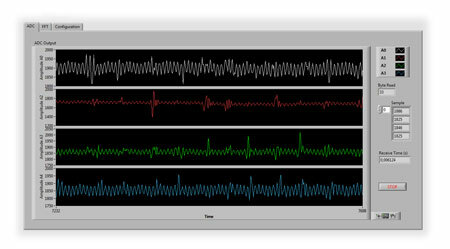 You can use demo PC software to view and save real-time signals. The sketch is very simple and fully commented for beginners.